Deforestation and climate change are very closely linked, mainly because one leads to another. Deforestation, also known as the practice of cutting down forests, is one of the leading factors to the problem of man-made climate change. 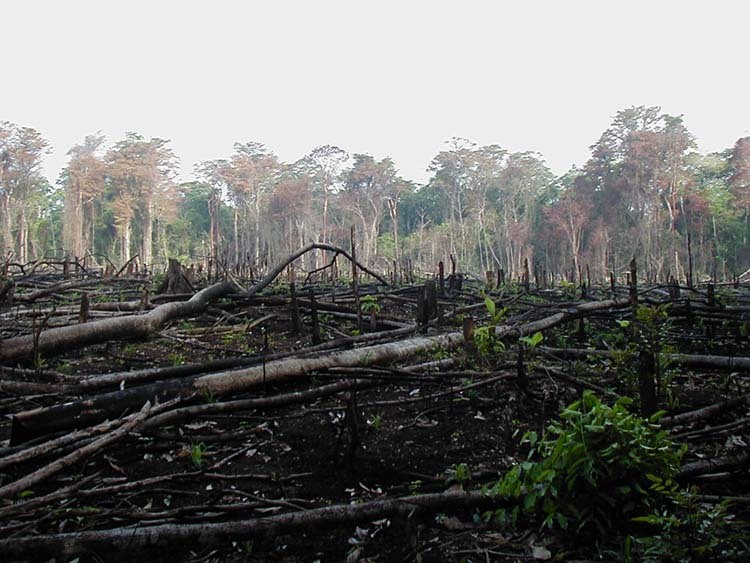 Approximately 30% of the world's climate change is caused in part by deforestation. Worse still, it causes climate change in several different ways. The most obvious way that deforestation leads to an increased rate of global warming is the weakening of the Earth's ability to get rid of greenhouse gasses. Carbon dioxide main greenhouse gas that contributes to climate change, since it traps heat inside the Earth's atmosphere. Oddly enough, trees convert carbon dioxide into oxygen during the photosynthesis process. Without lots of trees to combat the increasing levels of carbon dioxide, climate change will continue at a faster pace. 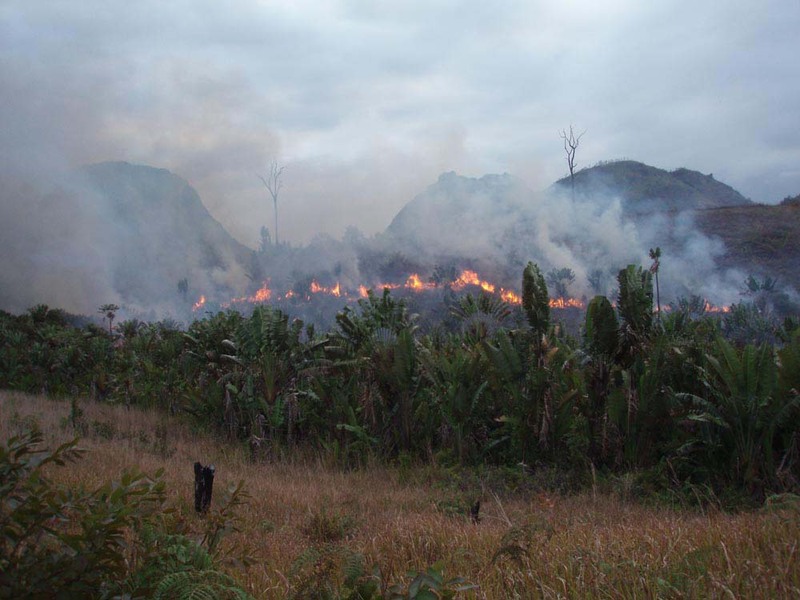 Moreover, most deforestation occurs due to slash-and-burn tactics. 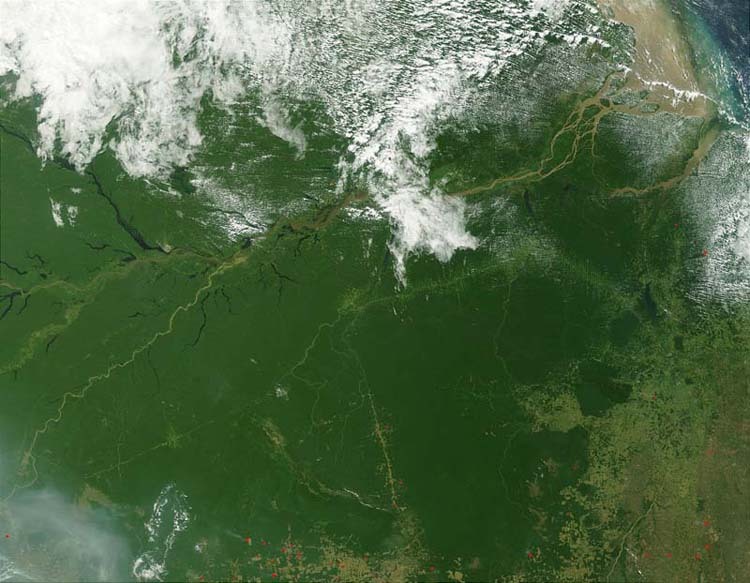 Slash-and-burn deforestation has been known for decades as one of the most environmentally harmful practices in terms of forest clearing. Because trees are approximately 50% carbon. Carbon, when burned in our atmosphere, turns into carbon dioxide – more commonly known as smoke. As previously described, carbon dioxide is a greenhouse gas. Thousands of acres of forest are burned away each year, adding yet another contributing factor the the massive, potentially extinction-causing problem of climate change. The reason why deforestation occurs is also a major contributor to climate change. Deforestation can occur for more roadways and cities, which obviously entails more greenhouse gas emissions from cars, trucks, and industrial machinery. 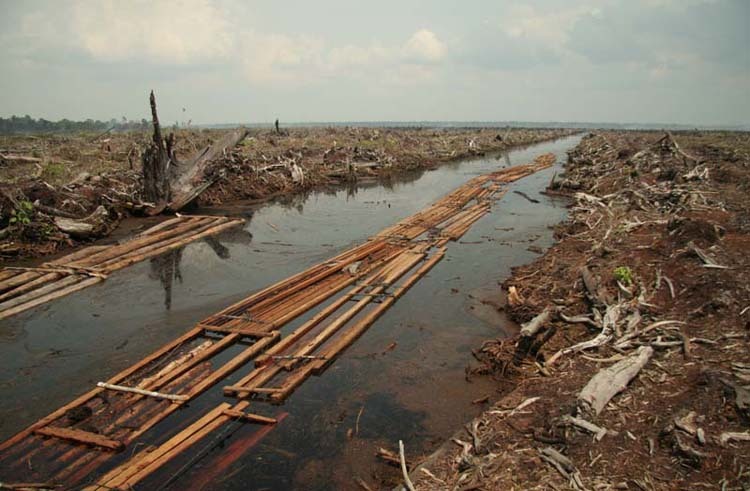 Deforestation also occurs in order to clear space for more agricultural farms. At first glance, this is good news, since all plants have the process of photosynthesis. However, the amount of plants that are created in farming will not produce as much oxygen as the amount of trees that were there. Moreover, the use of fertilizers, agricultural machines, and similar tools actually causes more pollution, which in turn increases the output of greenhouse gasses. As alarming as all of this is, it gets even worse. The climate change that is caused by deforestation is often preventable. More often than not, we don't need to cut down forests in order to live our lives the way that we currently do. Even when we do need to cut down trees, there are ways to lessen the damage that we do to our planet. We can plant a tree for every tree that has been cut down. Harder punishments could be doled out to those who practice slash-and-burn forest clearing. And, if we as a world we all band together to tackle the problem of deforestation and climate change, we can help build a more sustainable future for our descendents.